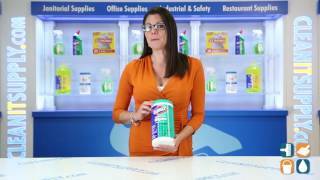 These Clorox Disinfecting Wipes from Clorox Commercial Solutions kill 99.9% of viruses and bacteria, including cold and flu, E. Coli, Salmonella, Staph, and Strep. Clorox Wipes provide a quick and easy way to clean and disinfect a variety of hard non-porous surfaces, including mirrors and glass, tile, faucets, counters, wood, desktops, and doorknobs. They are safe to use on desk phones, desk surfaces and computer mice. 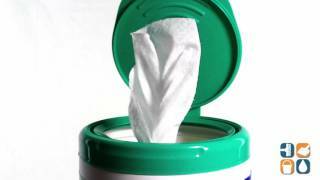 Packaged in a convenient, pop-up dispenser, these wipes can be placed in the office kitchen or break room, restrooms, as well as work and reception areas. Clorox uses powerful cleaning technology that dissolves grease, fights soap scum, and kills 99.9% of the most common germs that can cause cold and flu. 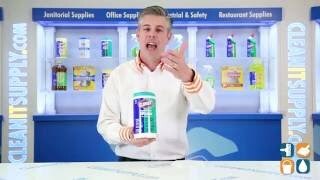 These wipes are easy on hands and work without the use of bleach or phosphorous. Behind every smooth-running working environment, there are Clorox Disinfecting Wipes, an essential tool for any office, day care center, school, restaurant, and any other commercial facilities to stock. This canister contains 75 disinfecting wipes in fresh scent. Get yours today!